My name is Ted Smith, and I'm (now former) Chief of Civic Innovation for Louisville metro government, and also the Executive Director of the Institute for Healthy Air, Water, and Soil..
What does the “Chief of Civic Innovation” do? When Mayor Fischer was elected, he wanted to do things remarkably different. He said, "We're going to be an innovative city.” That's great as a platitude, but at the end of the day to operationalize it you need somebody accountable for the progress, and so he created the position of Chief of Innovation. We don't need to innovate government as much as we need to give everybody else permission to innovate our community. We spend a lot of time, energy, and taxpayers’ money to get a full 360 on what's going on in the city, but when it comes time to fix things, there's a role that we can play only some of the time. We need citizens individually. Civic innovation is a little bit like shining a bat signal in the sky. The goal is to organize key actors across the community who can make those differences. What is the “Institute for Healthy Air, Water, and Soil”? If we want to tackle our biggest challenges, we aren't going to be able to do it alone. We gathered the university, medical community, businesses, and community health organizations. I got very excited about the work, and I said to the mayor, "I think we're going to need some kind of vehicle outside of government that can own the work." I sat down with a great philanthropist in our community, Mrs. Christina Brown, and we hatched this new nonprofit. I think of it very much as a laboratory for doing work that the average taxpayer wouldn’t be delighted to think their tax dollars were funding. Leading edge work with personal health technology devices, for example, work with micro air monitors. It's early, it's risky. We created the nonprofit as this public private arm to do experimental things. I think every city needs some sort of community mechanism to do this kind of experimentation and learning. There's not much tolerance for the failure in the government, and it's hard to get the energy around strictly social good problems. Therefore we created this little laboratory as an experiment. A different kind of investment. Louisville has one of the highest asthma rates in the US. How did the Institute get involved with air monitors? Our journey to air monitoring started with the asthma work. We saw these hot spots for asthma, and looked for reasons why they might be occurring. We looked at everything; housing stock, socio-economics, access to health care, age, race, etc. Instead, we found pollution and small particulate matter to be the biggest predictors of asthma events. Then, we started looking for air quality data at very specific locations. We started deploying lower cost, augmenting monitors, and we constantly compare them with the EPA monitors. They ultimately feedback into health data. Statistically, the model shows, as we have an increase in small particulate matter, we have a higher probability of rescue inhaler attacks. When you look at triggers for asthma and the development of the disease over time, the real chronic disease burn is much harder for somebody to manage. You're left with this dilemma: treat it from the front end or the back end. The vast majority of activity in asthma, and breathing disorders, is the medical model that treats them on the back end. “There's a pill for that.” At the end of the day, if the public sector can better manage the global environment that triggers, develops, and antagonizes these diseases, it's much less expensive than a back end medical model. Is the community supportive of air monitoring in their city? They couldn't be more supportive. Anybody who's paying attention to the personal health and fitness business right now - the watches, the necklaces - many of them include things like air monitors. Citizens who go out for a run say, "My watch told me the air was bad." We're trying to anticipate these moments. When you want to go out for a run, we can help you understand where the air might be challenging today, and where the air might be great. 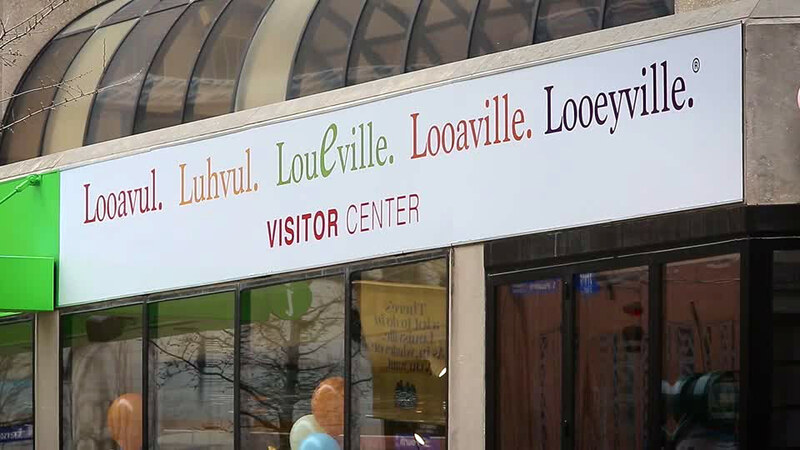 Our crazy idea is that Louisville, Kentucky is a city that is open to anybody's gadget. I know you might laugh, and say, "Isn't every city open to everybody's gadget?" No. We've been talking about a company out of MIT that makes park benches. It'll charge your phone. It'll measure noise pollution, air pollution, and all that. We'd love to have four of those benches in our city parks. If you tell me you've got a drone that does something interesting with ozone, we're interested in your drone. We want to be that open innovation community. I think diversification helps us a great deal. We can look at how these things vary when we talk to the EPA about the work they're doing. 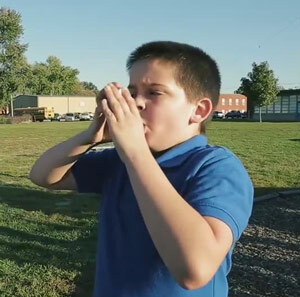 How does engaging in air monitoring benefit the citizens of Louisville? From my perspective, grassroots involvement is powerful, because it is the kind of understanding we need to have about our environment and our health. It only works well if it's fully owned by the individual who benefits from it. You have pride for your neighborhood. There's a very simple message that if you want this greater understanding of what's going on in our environment, there's no better strategy than to start with those individuals. Let them organize. Let them set the agenda. The citizen scientist to me is the best thing that's happened in a long time, because the citizen scientist is also the future civic leader in many cases, especially when they're young. Of all the things you could be distracted with in this day and age, I would love you to be distracted with a gadget that helps you understand how great your environment is. What is Louisville’s air quality like? Louisville's air quality has been a challenge for a very long time. We typically make it to the tops of lists that people don't want to be at top of. The fourth highest rated asthma nationally. One of the 10 worst places to live if you have a breathing disorder and allergies. These statistics are a wake up call. At some level they are a rallying cry, but for a long time they were just essentially a nuisance, because people didn't know what could be done about it. When I moved to Louisville, I was told the statistics. They said, “We're in the Ohio River Valley. What are going to do, fill in the valley?” I think the work that we've done to date has given us permission to now look at the issue again, and say, "Was it just the Ohio River Valley?" It turns out the entire valley is not a disaster. It turns out there are specific places, times, and situations that are harder than others. Our goal is to get off these lists. How did you get involved with Propeller Health? When I moved to work for the mayor, I remembered there's a new way to understand asthma. The very first phone call I made was to David Van Sickle. We struck up an unlikely partnership. We demonstrated that we could use his technology not only for what it's designed for, which is improving health outcomes for individuals but, because we were the government, we could analyze the population results. Our policies about capital infrastructure, our policies about transportation. We're not a great business partner wanting to be buying all of these inhalers, but we're a great partner to show that there's work also that could be done on the population level, not just the individual level. Your doctor can't help you with the air. You can't complain to your insurance company, because they can't cover the air. They can cover the drugs, they can't cover the air. You start working your way down. You could call the EPA, "I've noticed the air is pretty bad in my neighborhood. What are you doing about it?" You'll get the answer, "According to us, the air in your general area is pretty good." Democracies are uniquely positioned to tackle hard problems like this. If enough of us get together, and enough of us say, "I don't want to live in a place that is this way. I'm willing to do something about it.” I think policymakers, and others should do something about it too. This is when freeways get moved, this is when trees get planted, this is when fuel blends change. That's how it happens. The first step is the citizen. The first step is the community. What role does citizen science have in projects like Air Louisville and Propeller Health? The first part of citizen science is going out there, gathering the data, and being the scientist. The other part of it, is once we have all those data, what can we learn by having the data? That's a job for, I honestly believe, another collection of citizen scientists, the data scientists. We have a commitment in Louisville to have an open, community data platform. Today, it's on a website called Louisville Air Map, tomorrow, it could be something else.The idea is we need to have a sandbox of data available to anybody who wants to pose a question to the data. Maybe you're curious about your neighborhood, and an event that occurred two months ago. If you want to do that, I encourage you to go ask that question to the data yourself. We empower people to sort of kick at it, and poke at it, because the value of all the science in citizen science isn't as great unless you have people doing the curating, noticing the anomalies, because those anomalies sometimes point to issues that you have in the field. I hope in the United States of America the largest legion of citizen scientists are citizen data scientists, helping us be better field scientists the rest of the time.